London is a big city – and there’s no denying that there’s plenty to see and do there. Conveniently, children usually have high standards for their entertainment, so if you’ve got only one day to spend in London with the kids, what’s the best way to spend it? London has a wide range of museums to suit even the fussiest of mini-tourists. Without walking very far you can see the Science Museum, the Natural History Museum and the Victoria & Albert Museum, and if you’re only here for a day, a brief look around all three should only take a morning. If your troops start feeling peckish, the Science Museum restaurant is cheaper and tastier than a lot of London’s posher restaurants! Of course anyone who’s read even a little bit about London knows that there are two Londons. The first is the ordinary London where people have stressful jobs and take the bus, and then the secret London of magic and monsters, the London of Neil Gaiman, Paul Cornell and of course, J.K. Rowling. This last in particular you can visit in person at Warner Bros. tour of the Harry Potter studios. You can even take a shopping trip in Diagon Alley, board the Knight Bus and enjoy a pint of Butter Beer! Why not wrap up a lovely day by seeing a London sunset from the sky? How you choose to do it is up to you. 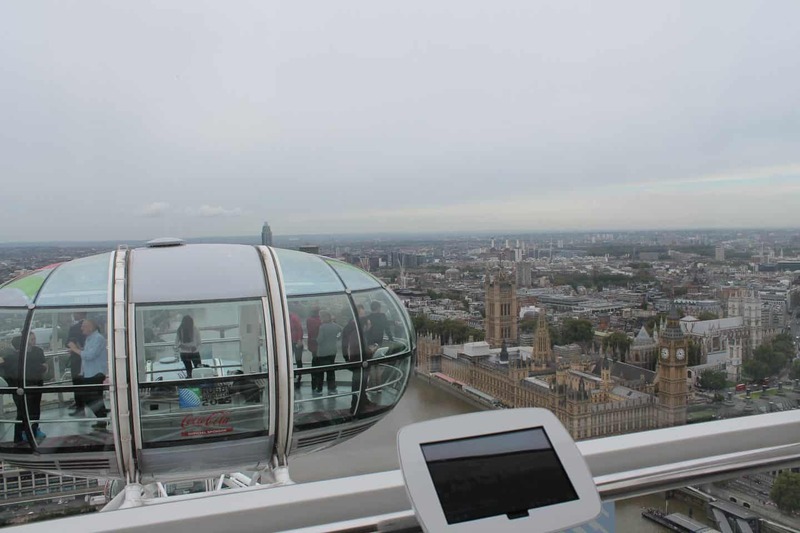 Maybe you and the children would most enjoy taking a ride on the country’s most famous Ferris wheel, or perhaps you’d like to visit the top of the Shard? Either way, you’re guaranteed a breathtaking view that’ll stay with you long after the trip is over. Having learnt some stuff about science, been on a magical tour and seen the sun set over the London skyline, why not round off the day with a show? London is home to some of the best musicals around, and while that might seem like that’s an activity for a grown-ups night, a significant number of them are based on our favourite children’s stories. Why not get a “golden” ticket to see Charlie and the Chocolate Factory? Or, a personal favourite, Tim Minchin’s amazing Matilda adaptation. On the other hand, if Roald Dahl isn’t your thing, why not get tickets to the new stage sequel to the Harry Potter books written by J.K. Rowling herself? It’s a packed day, and you might not be able to fit everything in. But if you don’t get it all done in 24 hours, you’ve got something to look forward to the next time you come to London!